Let’s start by creating a new document by navigating to Coda.io and clicking the +New Document button. 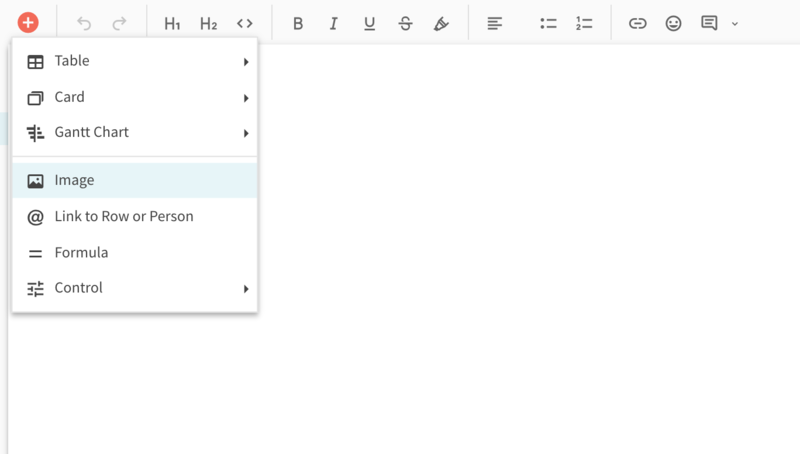 If you're a Google user, Coda integrates with Google Drive, so you can create and access your documents there as well. At first glance Coda is a clean writing surface. You can bold, italicize, underline, and highlight text just the way you would on any other surface. To do so, navigate to the menu at the top of the page, and format to your heart's content. You can also embed hyperlinks in your doc. To do so, simply start typing and if you include a standard domain (e.g. .com, .gov), Coda will understand it's a hyperlink and automatically link the text. If you prefer, you can also click the insert hyperlink icon in the toolbar at the top. The best part? If you hover over a link on your Coda doc, you'll get a preview card of the linked content. You can also embed images in your doc, to make them really shine. To do so, click the "+" icon at the top left of the toolbar and select Image to insert. Or simple copy+paste an image into the canvas.